Norberto Santana, Jr. is an award-winning investigative reporter with nearly two decades reporting experience, most recently engaging Orange County government institutions and decision makers as the founding publisher of the nonprofit digital newsroom, Voice of OC. As publisher, Santana oversees all newsroom, engagement and fundraising operations and also writes a weekly Opinion column about Orange County government. In 2017 and 2018, the Orange County Press Club recognized Santana as Orange County’s best columnist. Before founding Voice of OC in 2009, Santana was a lead investigative reporter for the Orange County Register from 2004-2009, focusing on county government. He’s spent nearly two decades just focusing on local governments across Southern California, previously as a staff writer with outlets such as the San Diego Union Tribune and the San Bernardino County Sun. Santana began his journalistic career in the early 1990s as an apprentice reporter with Congressional Quarterly in Washington, D.C. covering daily floor action in the U.S. Congress and followed that up with a stint covering the territorial Senate for the U.S. Virgin Islands Daily News. In addition to his experience as a journalist, the Southern California native has a master’s in Latin American Studies, has worked as an elections analyst on National Endowment for Democracy programs across Latin America and was one of the founders of CubaNet.org, a website featuring the work of dissident journalists inside Cuba that has operated since 1995. Languages spoken: English and Spanish Areas of expertise: Orange County, southern California, investigations, politics, elections, government transparency, Congress, Latin America, local government, civic education and reporting education. This Sunday, County of Orange officials plan to pull the plug on a five-year field agreement with a youth football and cheer team called the Fullerton Bears, which has drawn concern and protests from team parents and supporters. City of Fullerton officials are now in charge of the sports park on Rosecrans Avenue. District Attorney Todd Spitzer is calling on federal authorities to end the DOJ probe into use of jailhouse snitches in Orange County and instead make a deal to institute reforms. At his state office in Sacramento, Moorlach talks about recent legal cases spurring from legislation he co-sponsored, SB 1421, that calls on police misconduct records to be opened for public review. The former County Supervisor and Treasurer-Tax Collector for OC also ponders the future of pensions and California’s budget. 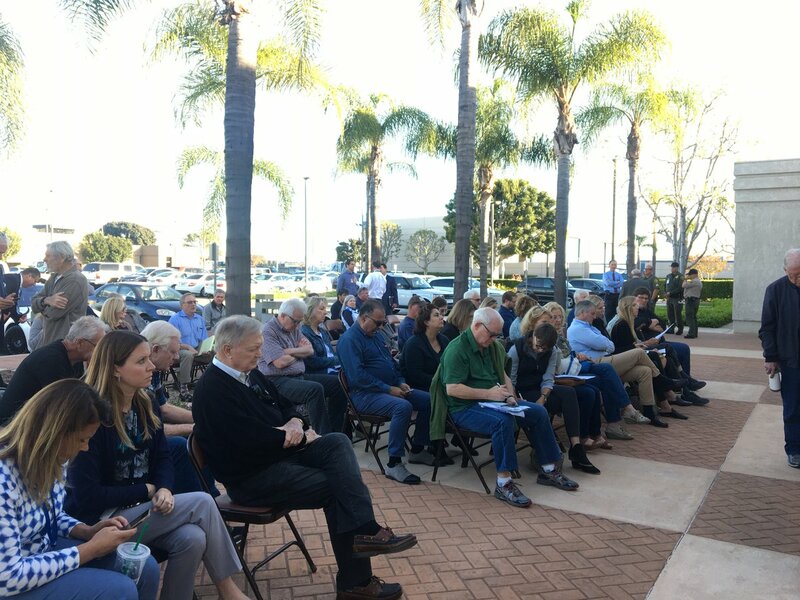 Nick Berardino – president of Valor, the Veterans Alliance of Orange County and President of Heroes Hall Foundation – talks about the challenges facing what he calls America’s most disrespected minority, veterans, as well as the quest for a veterans cemetery in OC.